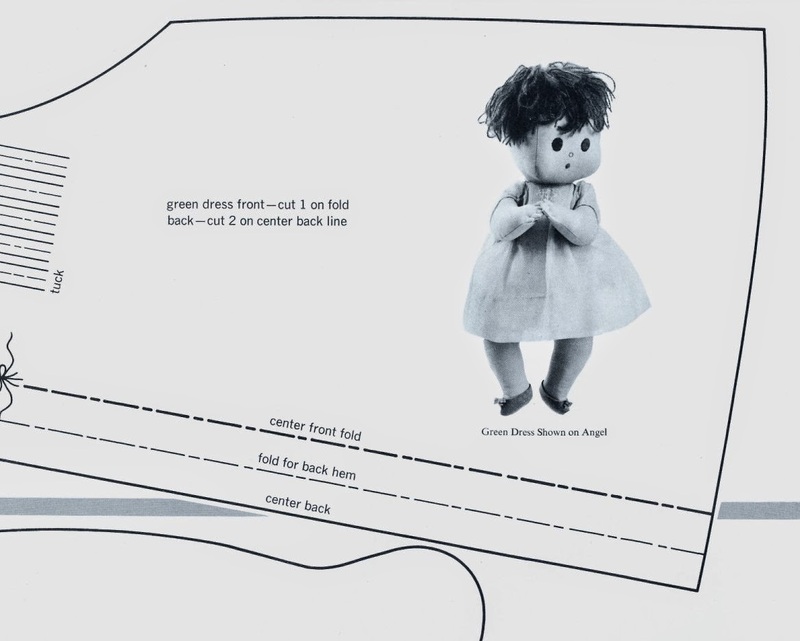 This set of patterns, designed by Joan Russell, makes a chubby baby doll which can be varied with different facial features and hair colors, plus a wardrobe of clothes. It was offered to readers of Woman's Day magazine in 1964. 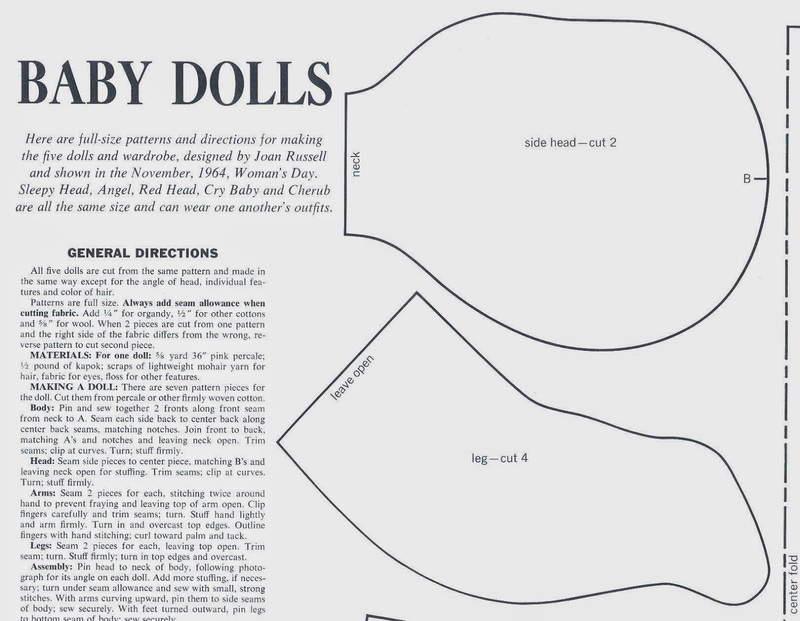 The pattern is described as making five different dolls, but they all use the same pattern pieces. They are made in baseball head style, but unlike most dolls with this construction, the front face piece is wide enough so that the face is flat and the head more square than round. The baby's arms (with stubby, separated fingers) and legs are stuffed separately and then attached.By varying the embroidered facial features and colors of yarn hair and appliqued fabric eyes, the maker is instructed to make the characters of Sleepy Head, Angel, Red Head, Cry Baby and Cherub. No size is given for the dolls, but they look like they would make up about 16" tall. 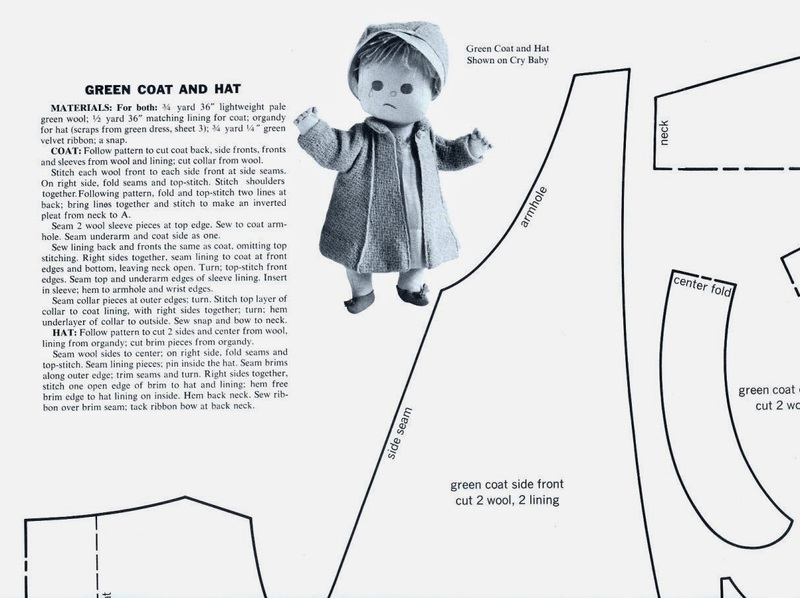 The pattern includes a complete wardrobe of clothes to sew, including a smocked dress and bonnet with bloomers; coat and hat; underwear, bib and blankets; one-piece pajama and nightgown with drawstring bottom; bunting; christening outfit with eyelet gown, coat and bonnet; plus knitting instructions to make a sweater, bonnet and booties. 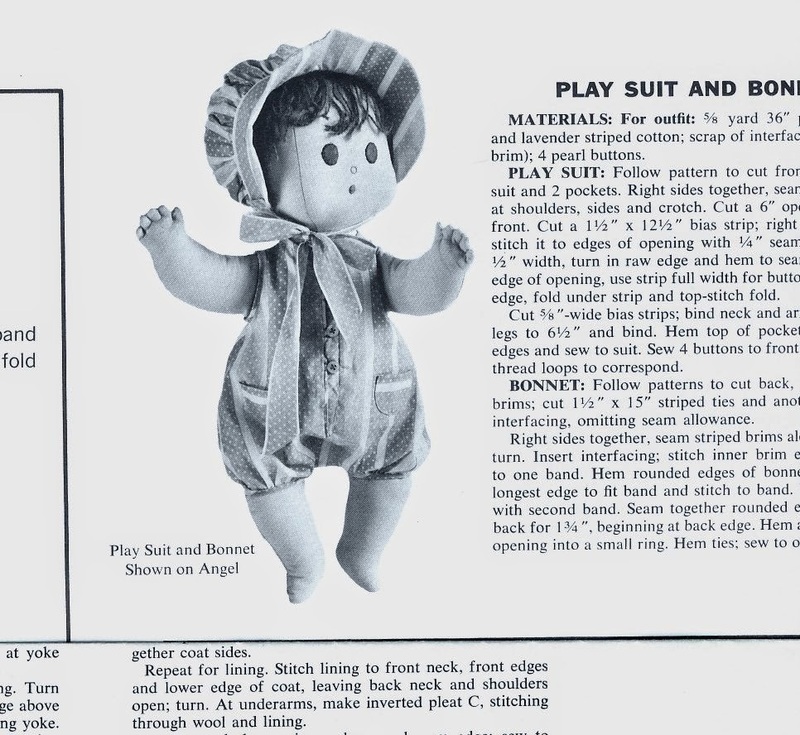 Joan Russell's dolls are fairly simple to make, and the outfits have some interesting details, like the smocked and knitted pieces. 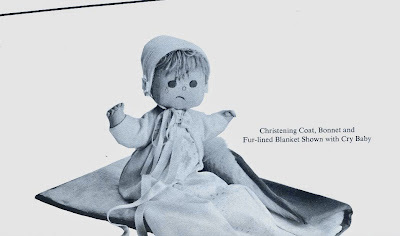 This is a classic '60s cloth doll pattern. Ivana, I no longer have this pattern. If you are looking to purchase a copy, eBay is your best source. There is one for sale now, but the seller only ships within the US. But keep checking, and you will find one eventually. Thanks for reading.